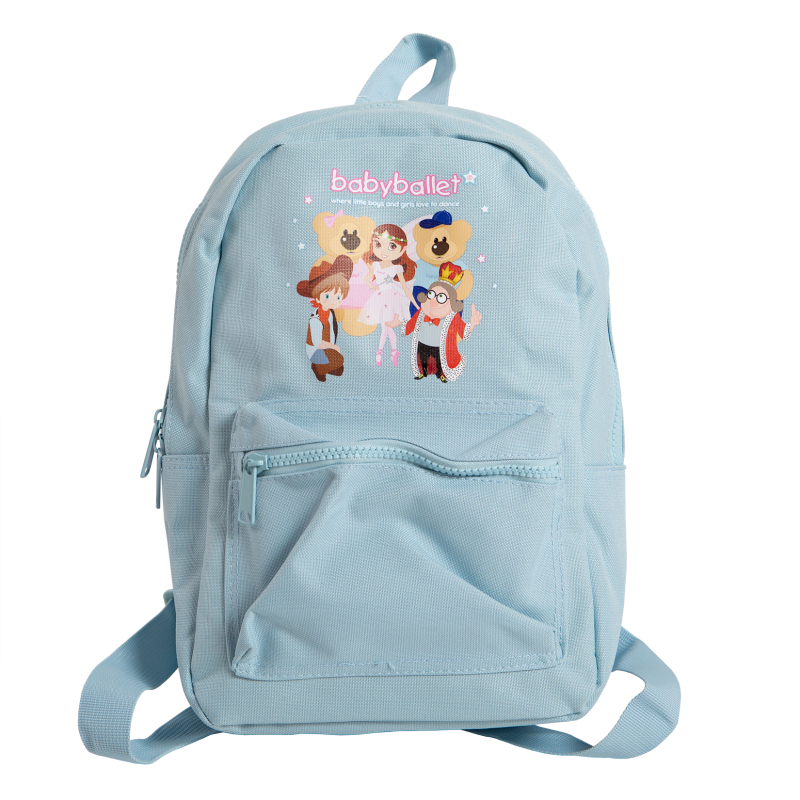 Available in powder pink and soft blue these super cute babyballet branded backpacks are just perfect for carrying the essentials to babyballet dance classes. 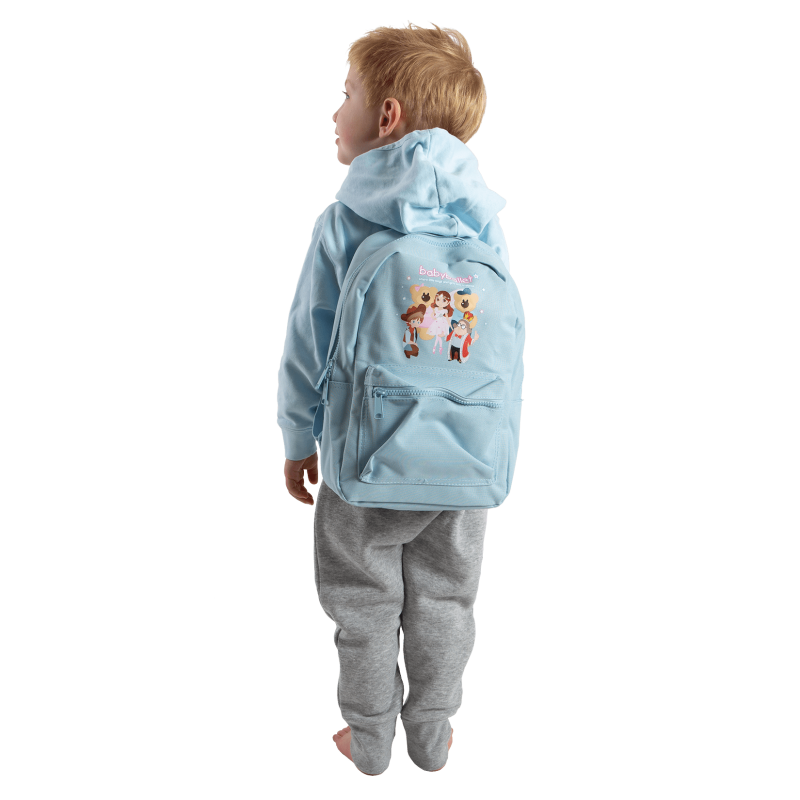 Featuring the much loved characters Twinkle, Teddy, Grandad Jack, Chuck the Cowboy and Flutterstar the Fairy, children and grown ups will find them simply adorable. Featuring fully adjustable shoulder straps, padded back panel (for comfort) and zippered front pocket (for convenience and ease). 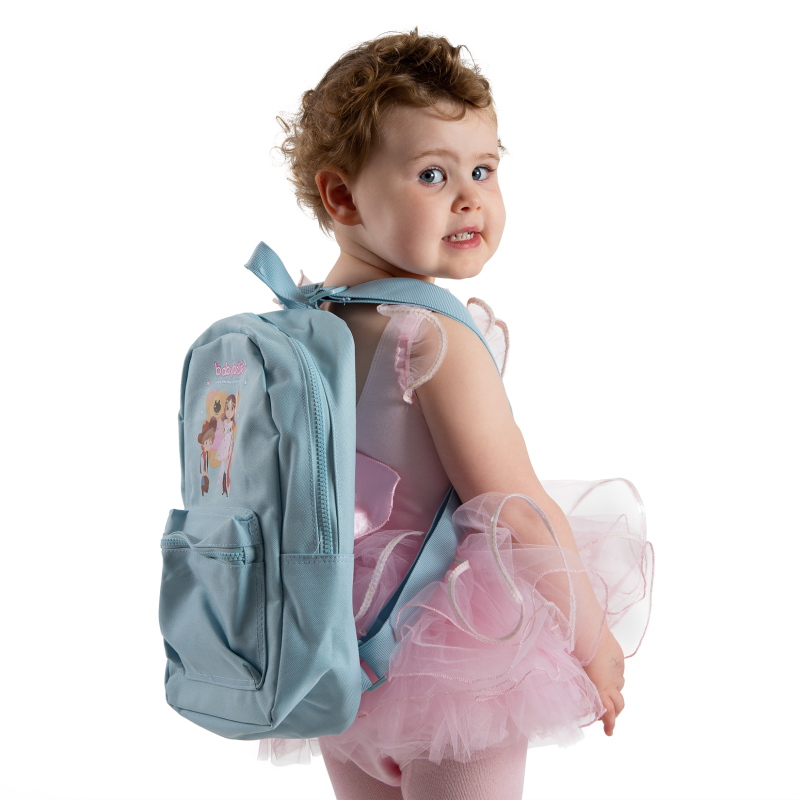 The perfect gift or addition to uniform for any babyballet star.